Dr. Srikumar is a Specialist Dermatologist and Veneriologist trained in renowned medical schools of India namely the Madras Medical College and Christian Medical College Vellore. He is an internal fellow of the American Academy of Dermatology FAAD. After his undergraduate training from the Stanley Medical College Madras, he obtained his Diploma in Dermatology under Prof. Patrick Yesudian at M.M.C, and his M.D. Dermatology from C.M.C Vellore under Prof Mary Jacob and Prof Soshamma George. 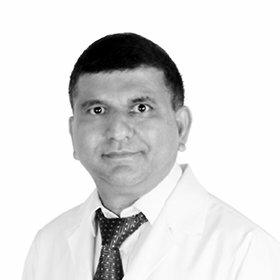 Dr. Srikumar was a gold medalist in Dermatology and presented many papers. He did his Diplomate in Dermatology and Venereology while in C.M.C, Vellore.He also worked in the HIV clinic in CMC Vellore for some time and was later a teacher for postgraduate students at Madras Medical College, Madras.He worked in the Ministry of Health, K.S.A as a Specialist in Dermatology and Venereology before joining Dr Joseph\'s Polyclinic in Karama Dubai in 2005. He has a passion for professional presentations and has presented cases and papers in many peer reviewed fora. He attends the American Academy of Dermatology conferences regularly and has a passion for updating his knowledge and expertise in skin and sexually transmitted disease care. HIV care is close to his heart.